Have you ever felt a bit rough, you know, slight sore throat, maybe a little headache, perhaps a little sniffly in the nose. But you let it go, even though it’s a little irritating ? Then it gets a little worse, body aching, throat really rasping, sneezing that just comes and wracks the body into submission, tiredness that refuses to go ? Then come the shivers followed by hot uncomfortable flushes and a cracking headache that paracetemol barely touches….and before you even know what’s happening, a heavy cold or maybe even the ‘flu has wrestled you to the ground and you are bed ridden and you just can’t gauge at what point it all reached that place. Well, this album is just like that !! When I first listened to the opener, just the opening strains of the song made me want to switch off. It’s deceptive as the first three songs contain lovely bits intermingled with really irritating predictable cliched moments. I was sure I’d delete the whole album. But like a good dose of the ‘flu it’s slowly and subtly crept up on me and insinuated it’s way into my being. Resistance is now totally useless !! Yes it’s slushy. Yes, it’s symphonic and overly polished. Yes it’s cliched in sound and words. Yes, it’s very much of it’s time. But despite all that, it has something that every worthwhile album must have. Enjoyable, catchy songs. ‘Nuff said. Sir, do you have a back cover or track list for this fine album? Look below the album cover for the track list. I don’t have the back cover picture. Clay Radio is one of my favorite progressive Canadian Christian rock song of ALL TIME. 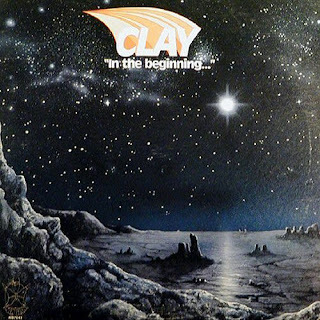 Wondering when there will be a full on Clay reunion tour? Is the Jerry Stonehocker that is in your band the same one from Minnesota? He was married to Lynn and has daughters named Leigh and Alexis? If it is please contact me in La Ronge Saskatchewan. 1-306-425-8842 or send me a message on my hotmail. I had no idea our album was here!!! This is Curtis and yes, that is the same Jerry. I’m 54 now, and music will always be my first love. I don’t know about a reunion tour, but with GOD all things are possible! Never stop dreaming!!!! It keeps you young!